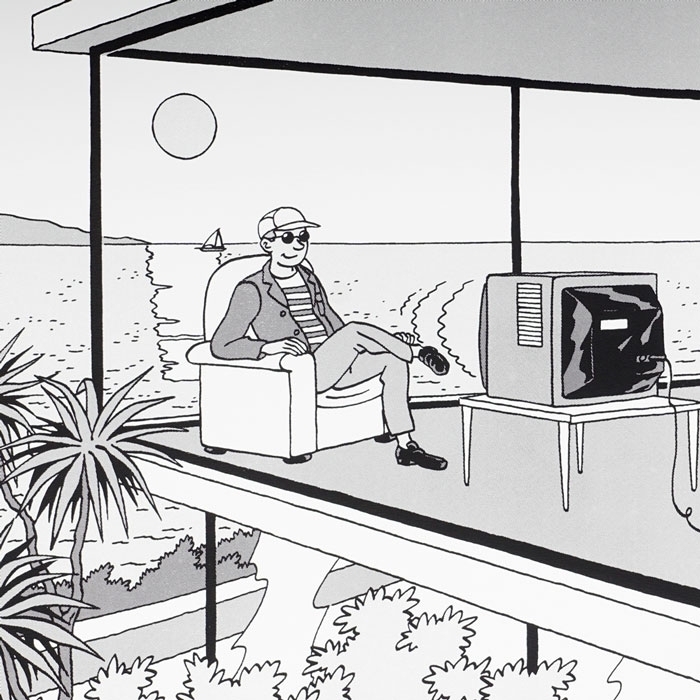 The Riviera series – drawn by Régric – presents a comic book hero enjoying an early retirement in a villa on the coast. 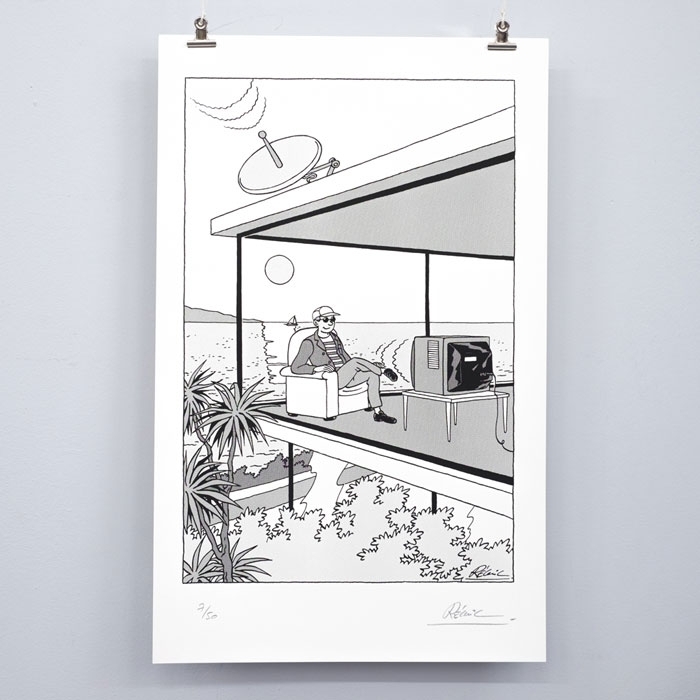 His day-to-day life now consists of basking in the golden sun, making the most of the blue sea, and taking in the architectural lines around him. Nevertheless, a threat still looms, in the form of electromagnetic waves. Screen print on Rives Tradition Naturel 250g paper. Hand printed by the Inkpress workshop in Lyon, France. 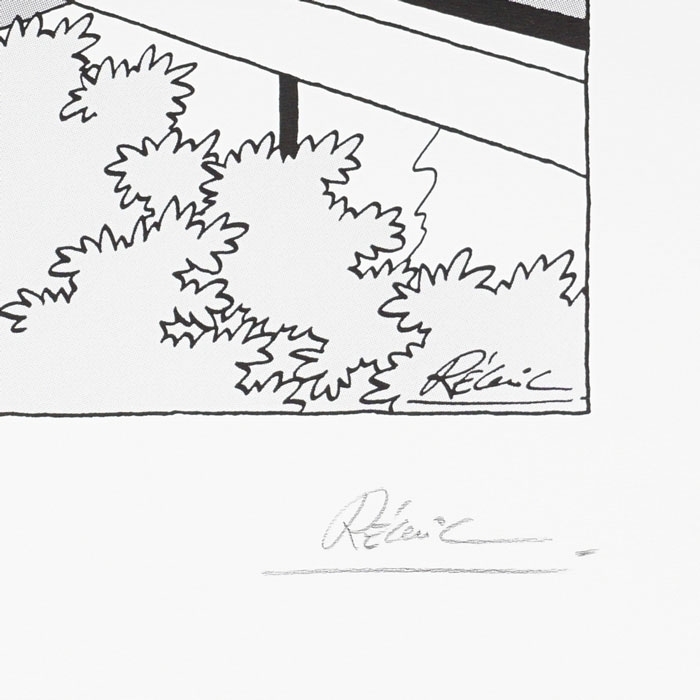 Limited edition of 50, numbered and signed by Régric.